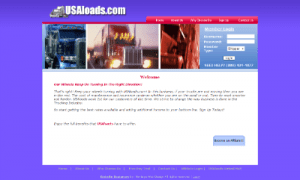 Project Description: Trucking load board site created to match shippers with truckers. Shippers add all data related to loads that need to be delivered. Shipper can add one load at a time or multiple loads at once. Loads can be added via csv upload. Shipper manages company data including logo. Truckers register and pay a monthly recurring fee. They can search for loads and use contact forms to contact shipper about transporting load. Searches can be performed on origin city/state, destination city/state, zip and radius. Site administrator can add, edit, view, list, delete shippers, truckers and loads. Admin can edit monthly recurring fee.